Northwest Creative Imaging covers the major events in the trade show industry to give our clients great information on the latest trends and opportunities in trade show exhibiting. From electronics to medical technology there are numerous shows that not only offer new products, but showcase industry changing products and developments. NWCI helps our customers by identifying shows that can lead to more revenue and a large client base. 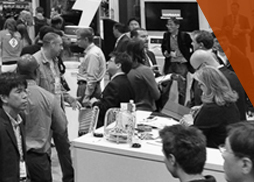 Some great events coming up in 2013 and 2014 are listed below, including a tradeshow guide to CES® 2014. Trade shows bring companies and individuals together like no other marketing platform in the world. There is no better way to meet contacts and suppliers than a trade show. They are most valuable for companies trying to get up and running in competitive industries. The major trade shows include buyers for prospectors from the largest companies in the United States. This type of exposure can be priceless for start ups. Like in most business applications, there is a right way and wrong way to exhibit at a trade show. Following the industry and staying up to date with current show schedules will give you a competitive advantage over other exhibitors. Developing the right booth with pre show marketing is another competitive advantage for a savvy business person. Getting notice at the show is the most difficult part of exhibiting so a well thought out plan is key. 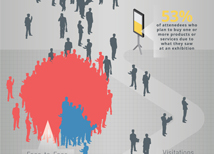 Exhibiting at trade shows can be the most valuable experience for a company. 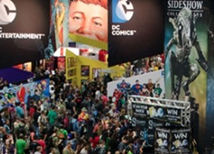 Many companies are leery of putting up the cost of a trade show. 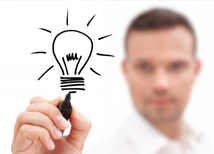 The question is often asked, “Why should I risk the high cost of trade show, what if I don’t see any return from the show?” The answer is a well planned and executed trade show can provide a very large return on investment and open the door for opportunities that will never be available through normal marketing efforts. Also keep in mind exhibiting is not for everyone. There are some industries that do not benefit from the trade show marketing platform. A great way to find out is checking all the local and national shows. If there isn’t a trade show out there for your specific industry chances are most of the buyers go through other methods to find suppliers. Once again planning and research is key because a show cannot be successful unless in fits your industry and there are buyers out there looking for your service at a trade show. Consumer Eletronics Show", "CES", "CES®" and "International CES®" are registered trademarks of the Consumer Electronics Association. Northwest Creative Imaging is not affiliated with or endorsed by CES or the Consumer Electronics Association.